Lately, writing has gotten annoying. I’ve been thinking about craft so much and covering it in blog posts that when it comes to write, I feel stuck. I feel like I’m playing golf. There are so many techniques to learn and apply when it comes to the game. There’s a way to hold the club, to stand, to swing, to putt. One must know which club to use, which way the wind is blowing, how the ground slopes. 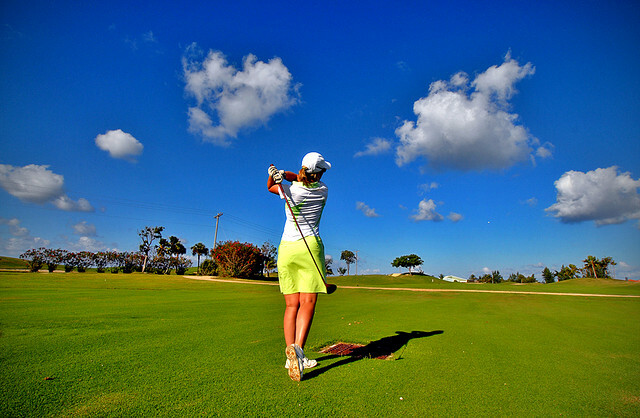 Keep your eye on the ball, keep your shoulders aligned, keep your left arm straight, keep your hips squared. Argh! How can anyone make par keeping all of those details in mind? That’s how writing feels to me as of late. I’ve amassed so much information about what makes a story great that I’m having a difficult time writing a great story. Like in golf, I need to absorb all of the important details necessary to play the game, but then I simply must let go. Just relax and let it flow. To that end, I’m going to write fewer posts per week on my blog. It’s not the time required to write these posts that’s getting in the way, but the fact that thinking about craft too much is resulting in tense prose. I’ll let you know how it goes. FORE! Thanks Gabby! I just need to shake it off! 🙂 See you Friday?